‘Candle Cottage’ is immediately above what was once Mount Tabor Chapel on Bowns Hill. It was once a drapery and grocer’s shop and the village post office. The painted sign has considerably faded and is now almost invisible. It is one of the buildings which had a significant place in the life of the village. George Bownes was born in North Wingfield in 1778, son of a prosperous farmer who made a point in his will about leaving George nothing as he’d already helped set him up in the world with a business! The family name was spelt ‘Bownes’ at the time, but often appears as ‘Bowne’, ‘Bowns’ and ‘Bounds’. George married Mary Hudson in Derby in 1803 and appears to have moved to Crich at about that time, as the first reference to him being a ‘grocer’ in Crich is from 1803. In 1810 he hired a fourteen-year-old boy, Job Walker, as an assistant. The 1818 parish records list him as being a ‘mercer and grocer’, and later (in Pigot’s trade directory) as a postmaster and tallow chandler. In 1824, George was found guilty under the weights and measures legislation of short changing his customers, and was fined five shillings. At this date, he was described as a ‘grocer and chandler’. He was still listed as being a ‘chandler’ in 1835, but had upped his status to ‘farmer’ by 1841. He died intestate in July 1845. In the letters of administration secured by his widow, George was described as a ‘cottager’ with a personal estate of less than £50 – so his earlier claim to have been a farmer was probably a bit ambitious! Of his five children, the eldest (James, 1807–1873) went on to become a successful tobacco manufacturer in Mansfield. 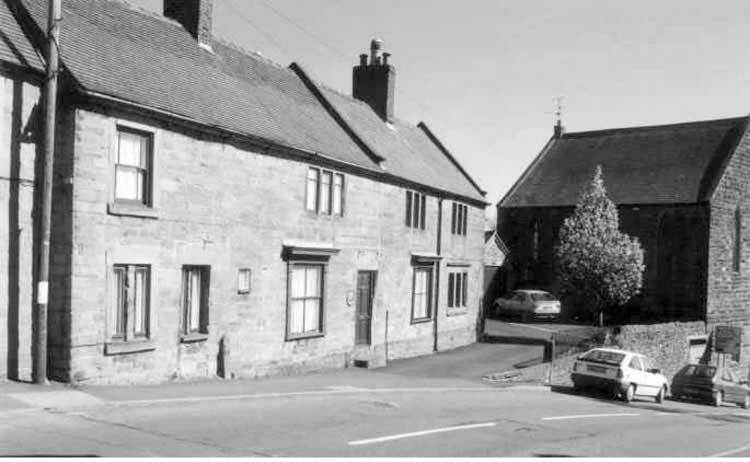 His second son, Edward (my ancestor), ran a farm in Ripley and later a pub in Mansfield. His son, also Edward, moved to Cheshire in the 1860s and set up a chain of grocer’s shops,bringing the story full circle.